But still, it’s very difficult to choose just 3 polishes. 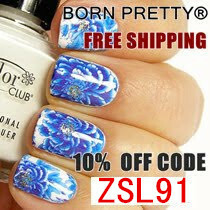 The way I came up with 3 polishes was to start by picking my favourite colours: navy and turquoise. And then because both polishes that matched that selection were Barry M polishes, I added in a third one, and it’s one that makes me happy, a bright pink. So my polishes were Barry M: Fuchsia, Turquoise and Blackberry. Now what was I going to do with them? 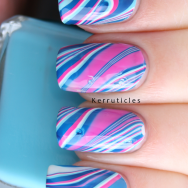 I’d tried a water marble for a previous challenge and it had gone terribly wrong, so I thought I’d give it another go. I’m pleased I did, because apart from a few water bubbles on my middle and ring fingers, I’m pretty happy with how this turned out. The colours work well together and because I dipped all four fingers together, there’s some continuity between them. We’re finally in the last week of the challenge. I never thought I’d make it this far, and now there are just two more manicures to go. I think I’ll feel a bit bereft when it finishes. 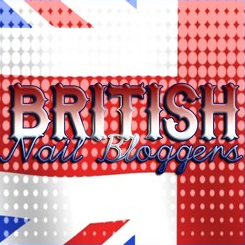 Oh no – scrub that – I’ve decided to do a Christmas nails challenge too. Barry M Guava was sent to me for review. All views expressed in this post are my own, honest and unbiased opinions. Yes, it does look a bit like rock! That looks amazing! 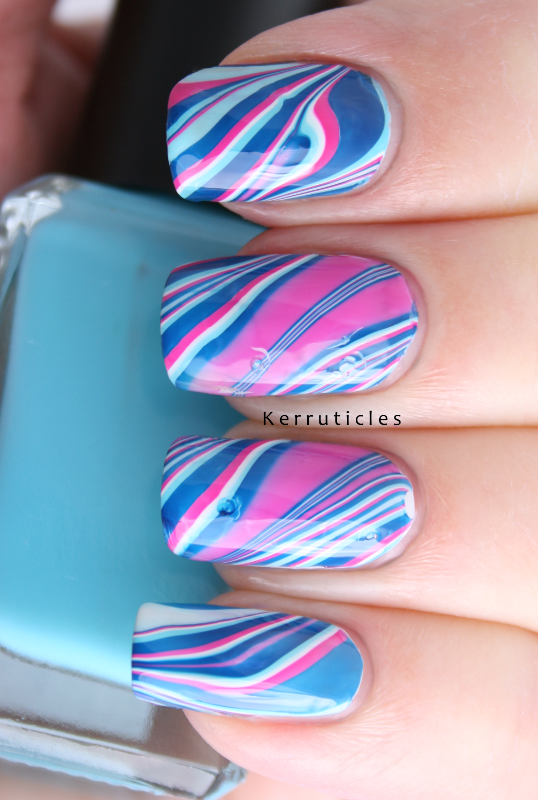 I have never been able to water marble very well. Thanks. 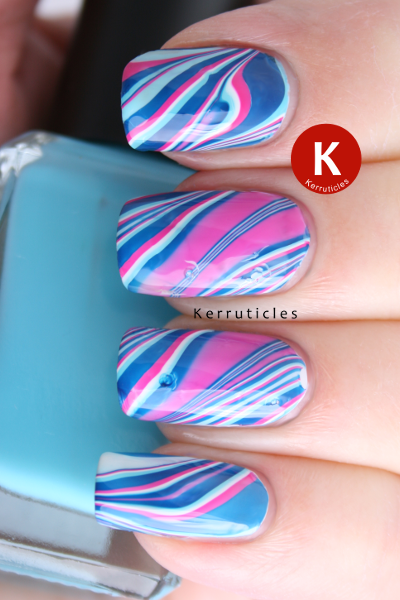 I haven’t quite got water marbling sorted either. I always end up with water bubbles or my polishes don’t spread properly. Practice makes perfect though, so I’ll keep trying!